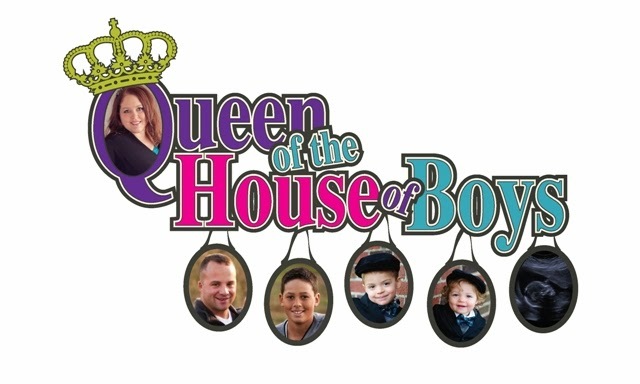 Queen of the House of Boys: Wedded Wednesday-Bliss or Bust? 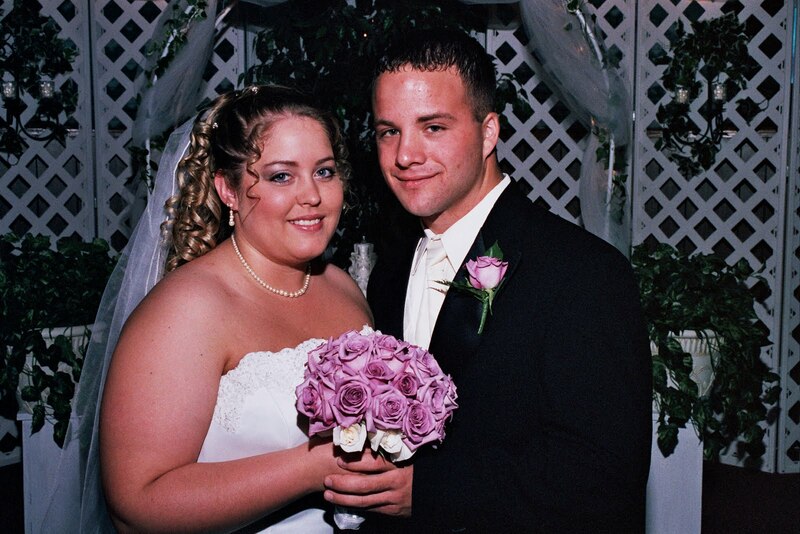 Wedded Wednesday is being hosted by Johanna from These Prices. Head on over there if you would like to see more entries! OR if you would like to join in on the link up! 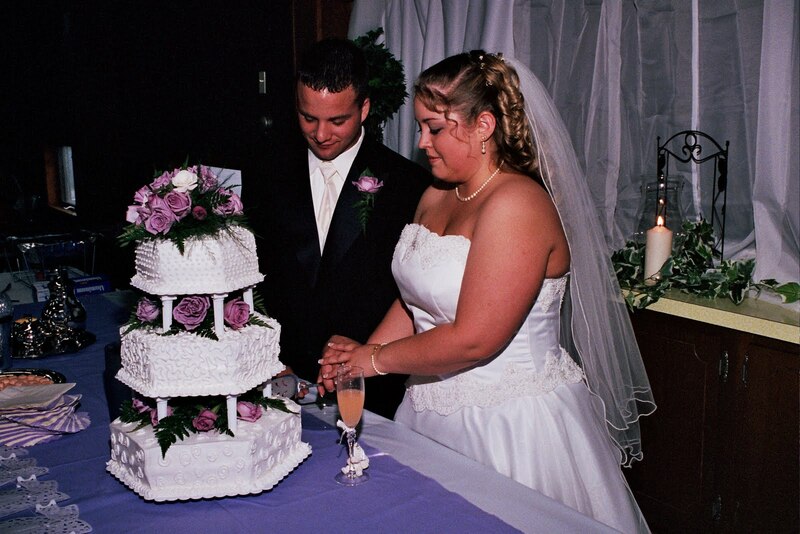 James & I celebrated our 6th year of wedded bliss this month. We went away for a long weekend to a spa in the Wisconsin Dells..which I keep forgetting to blog about but totally will soon! Really, to use the term "wedded bliss" would be a little bit of a lie. These first 6 years have definitely come with some challenges. Entering into a marriage where one of you has been married before..and the other came as a package deal with a 5 year old..and thinking that your love for each other is all that you would need...is a little out there. Honestly, you need the love, but you also need God, and COUNSELING! Everybody in the world has "baggage" of some sort, but we entered into things with a little extra. We do have one thing going for us though, we started counseling before we even got married! Actually we had only been dating for 2 weeks before we started meeting with our Pastor regularly. We even had him test our temperments. Yep, aside from all the other challenges, we are COMPLETE OPPOSITES! It is true, opposites attract! We see things in others that we wish we had, little did we know that the very things that attracted us to each other would someday also drive us bonkers! James would be what you would call a Type A personality. Needs to have things in order. Needs to be in control. Doesn't need affection. But does need a lot of positive reinforcement through support and respect. He is a great business man. He can see the end in something before he gets started. He follows through on things. James could live in a house with nothing in it expect a few essential items, white walls, no clutter. Clutter shuts his brain down. He has to go away, usually fishing, by himself in the middle of no where to recharge. James is 5 minutes early for everything (at least he used to be before we got married). James is an optimist. I, on the other hand, don't like to be controlled. I need lots of affection. I think positive affirmation is cheesy unless it is unexpected. I DO like it when I get a compliment, but I don't like it when someone tells me I should compliment them. It doesn't seem genuine. I am a dreamer, probably a "somewhere over the rainbow" thinker. I could go weeks without doing laundry and be perfectly ok with it. I like to have the house decorated and full of life. I would rather spend my time with people than cleaning. Spending an evening with friends would be how I recharge. I like to be in group settings when I feel comfortable. I don't follow through the best. I am a procrastinator and put everything off until the last minute. I am late for everything. I am a pescimist. So, as you can see, we have a few areas that clash. However, these things...when we can get over our own pride...can compliment each other quite well. 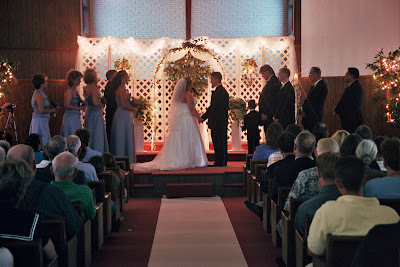 Knowing these things about each other before we ever said "I do" has helped. Knowing what to expect out of each other. Knowing how to react to each other. 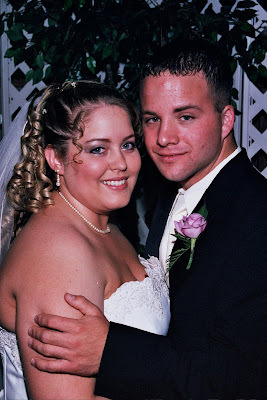 Did we know when we said "I do" that we would spend the first 4-1/2 years heart broken when we weren't conceiving? No, we expected to be pregnant after the honeymoon! This really did impact the first years of our marriage. We were so hyperfocused on having a baby that it kinda killed some of the joy we could have been experiencing. But then later to get to experience the joy of finally conceiving and giving birth to our second child...complete bliss! Still unbelievable, and still forever thanking God and ashamed at doubting His timing. We have a long time to get all the kinks worked out...and we are in this thing for the long haul. With challenges come more experiences, more testimonies...and more ability to help others who may have or may be going through similar things. Thanks for stopping by for my first edition of Wedded Wednesday! It was fun to see the beautiful pictures from your wedding day. 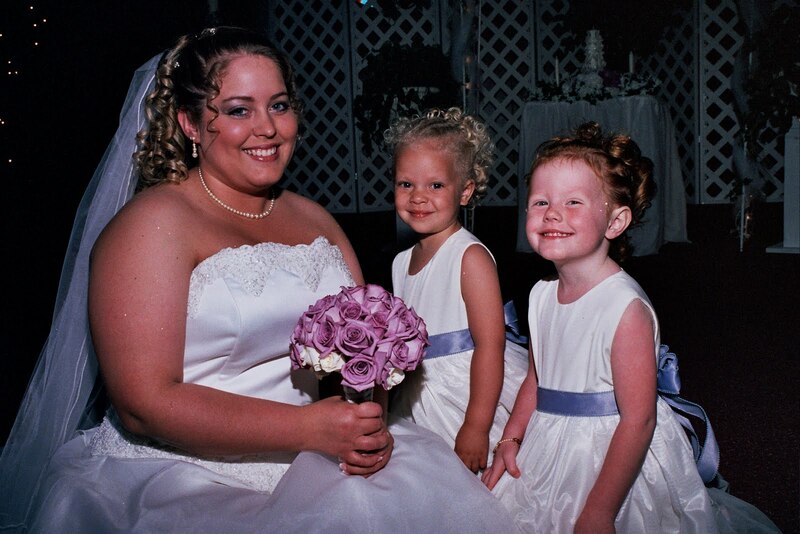 It looks like your flower girl dresses were just about the same as ours were, as well as the bridesmaid dresses. Fun! I also wanted to thank you for your very kind comment on one of my posts recently. Your words meant a lot to me and I really appreciate you taking the time to check in and share your care. Hope you have a great day! Aw too cute! 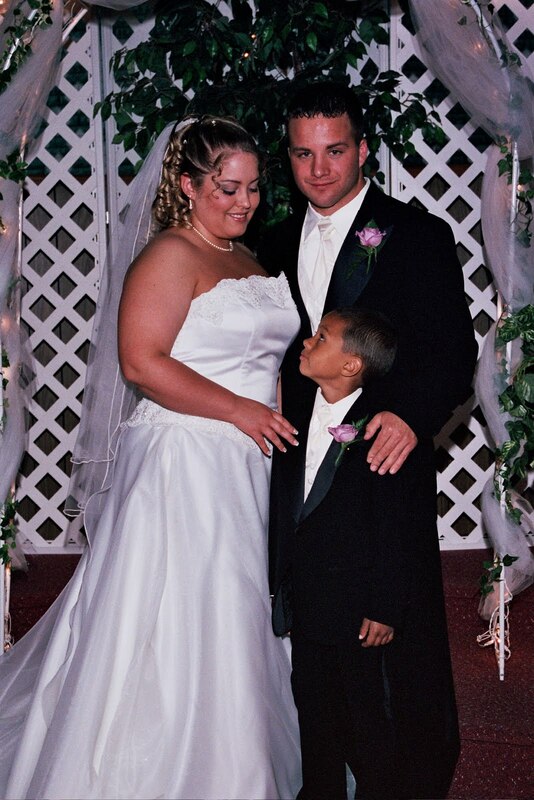 I need to pull out my wedding pics!